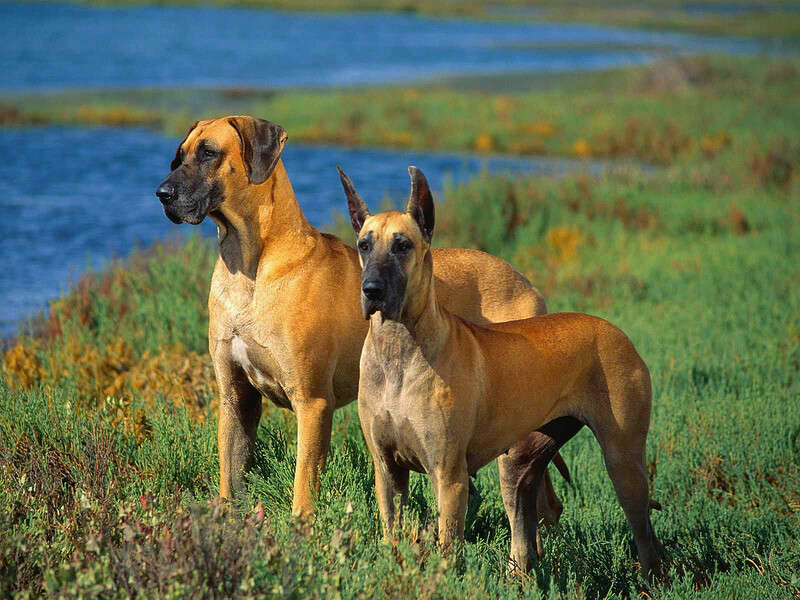 German dog - the dog is very tall, with short, smooth and dense shiny hair. This giant is confident, loves children, even-tempered and calm, kind, and obedient. Beautiful dogs and puppies of large and small breeds posing in photos of high resolution. High quality pictures with dogs.